Servant and Steward: Did Catholics forbid meat to support the fishing industry, or Protestants? Did Catholics forbid meat to support the fishing industry, or Protestants? At some point in your life you have probably been told that the only reason Catholics eat fish on Fridays - at least during the season of Lent - is because a medieval pope - who is never named - had family in the fishing industry - which is also never named - and they needed a financial boost. This claim, of course, is false and is made by those ignorant of history. 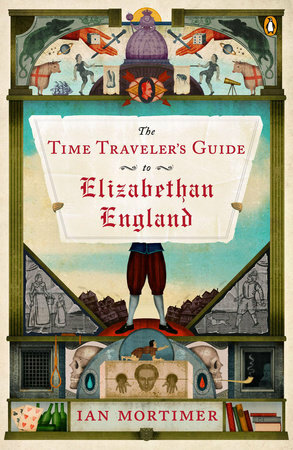 I have recently finished reading Ian Mortimer's enjoyable and educational book, The Time Traveler's Guide to Elizabethan England (New York: Penguin Books, 2012); his The Time Traveler's Guide to Medieval England is also excellent. Loaded with endnotes, his books are well-researched and documented, and written in a readable, intelligent, and humorous fashion; I cannot recommend them enough. Of particular interest to me is Mortimer's treatment of religion. These days, it can be difficult to find historians who give religion - especially Catholicism - a fair treatment, but Mortimer does so very well. "In Mary's reign, no fewer than 283 men and women are burned at the stake for maintaining their Protestant beliefs - many of which were called orthodox in Elizabeth's reign. 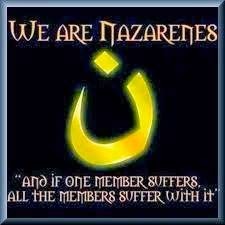 Although Elizabeth's government does not burn as many people as Mary's [N.B. : It was not the Church that killed people, but the state], proscribed views are still enough to get you killed" (61). "What is orthodox in 1558 is sufficient to have you hanged in 1570" (61). "And propaganda is key. Elizabeth makes sure all history books praise her and Protestantism, and reflect Mary's reign in a negative light" (68). "A second act [of Parliament] forbids the importation of [papal] bulls from Rome, as well as crucifixes and rosary beads" (69). "Anyone trying to persuade people to join the Catholic Church is held to be guilty of high treason and executed" (70). "Catholics are not allowed to travel more than five miles from their homes - on pain of forfeiting all their property and estates" (71). "Just thirty-five years see Catholicism change from being the respectable norm to the religion of a persecuted minority" (71). You will not likely find such clear statements in most history text books, although the statements are entirely true. Now, then, back to the topic at hand, that of eating fish on Fridays. Before we continue, let it be remembered that Catholics are not required to eat fish on Fridays; rather, they are simply not to eat meat on Fridays (fish is not the only meatless option). Harvest time and fruit picking impose one form of seasonality. Another is entirely artificial. The medieval Church [that is, the Catholic Church] used to restrict the eating of meat on Wednesdays, Fridays, and Saturdays, as well as in Advent and Lent and on the vigils on certain saints' feast days. In 1549 Edward VI [a Protestant] reestablishes Fridays and Saturdays as nonmeat days, as well as Lent and other religious feasts. In 1563 Elizabeth's [also a Protestant] government imposes fasting on Wednesdays too, including a prohibition on slaughtering animals. There is an important difference compared to pre-Reformation [that is, Catholic] times, however: avoidance of meat is no longer a religious observance but secular law. The purpose of fasting on Wednesdays is specifically to encourage the eating of fish, to support the fishing industry. People therefore respond differently. Some households uphold the old religious fasts during Advent and Lent, as if they are still observing the old religious law; others ignore Advent but observe the Lenten fast. Still others ignore Wednesdays and just fast on Fridays and Saturdays. But be careful if you adopt a partial regime: heavy fines are levied for eating meat on nonmeat days. The standard fine is £3 or three months imprisonment, but in 1561 a London butcher slaughtering three oxen in Lent is find £20. Fines can be levied on the head of a household for every single member who breaks the fast, so if you have lots of servants, make sure they obey the law (215). Did you catch it? The forbidding of the eating of meat in order to support the fishing industry did not arise from the Catholic Church, but from Elizabeth's Protestant/Anglican government. Prior to this decision of Elizabeth's government, the Catholic Church did not forbid the eating of meat to support the fishing industry; rather, the reason for the forbidding of meat was less temporal, much simpler, and more spiritual. As John Myre explains in his Liber Festivalis, written in the later 1400s: "For when God, for Adam’s sin, cursed the earth and the land, he cursed not the water; wherefore it is lawful for a man to eat in Lent that which cometh of the water." In fact, centuries earlier, Saint Isidore of Seville, who died in 636, wrote in his De Ecclesiasticis Officiis, "We are certainly able to eat fish, because the Lord accepted one after the resurrection. Neither the savior nor the apostles have forbidden this" (1.45.2). The non-eating of meat and the eating of fish was both a penance and a reminder of God's mercy. In this Jubilee of Mercy, then, do not forget the second spiritual work of mercy, that of instructing the ignorant.